High frequency charging doesn’t have to be complicated. 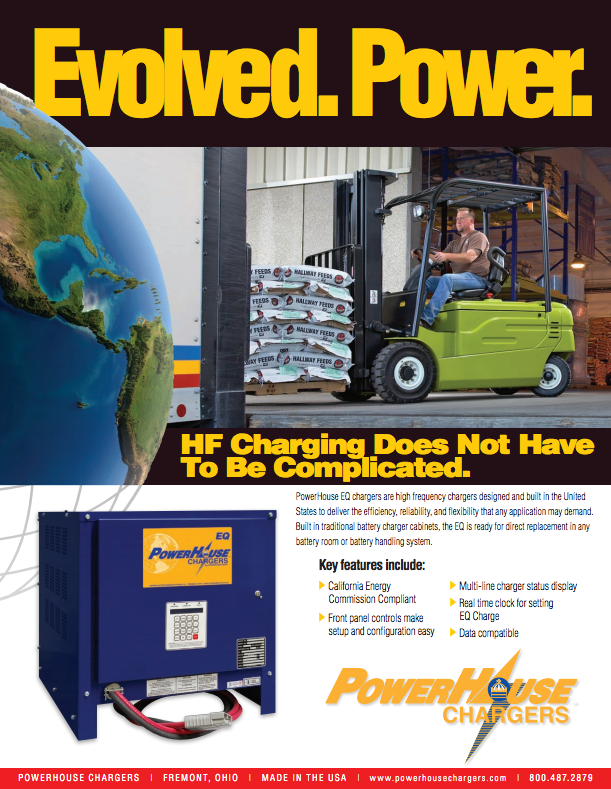 PowerHouse EQ Chargers are efficient, reliable, and flexible for any application. Built in traditional battery charger cabinets, these safe, fast equalizing chargers are perfect for direct replacement in any battery handling system. Download the specification sheets now to learn more.